Mustang Power Steering Pump Cap. 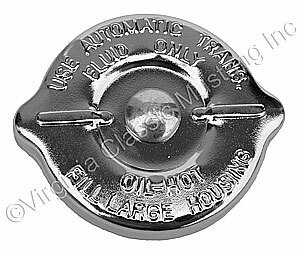 This cap fits the 1965 and 1966 Mustang with the Ford Design Power Steering Pump for cars not equipped with air conditioning. It is zinc (silver) plated like the original. The original Ford part number was C5AZ-3A006-B.